Second, you add the question description. 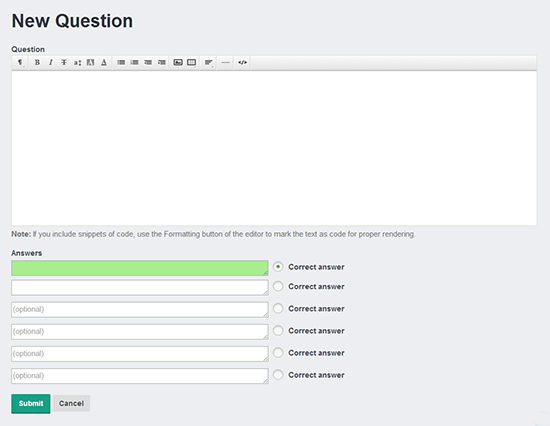 With our state-of-art text editor, you can format the question text to meet your needs. You can also highlight blocks of text as Code. You can include images in your questions too. 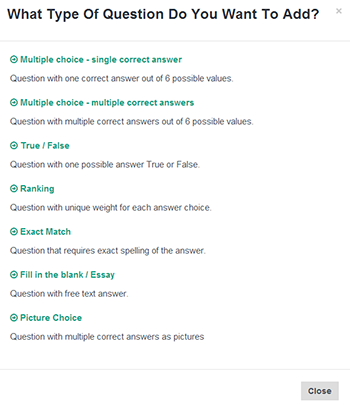 Third, you add up to six possible answers, and check the box next to any correct answers. Ready to give us a try? The first 14 days are free.